The Lancer Tactical L4G19 NVG Mount is constructed from CNC Machined aluminum to be durable and lightweight. It is compatible with most helmet shrouds and NVGs equipped with a dovetail shoe. It has a range of different adjustment options to insure proper eye position of a night vision device, including fore/aft, vertical, and tilt adjustments. Break-away feature can be engaged to prevent injury if the attached NVGs where to get caught on something. All controls can be reached and operated with just your support hand. 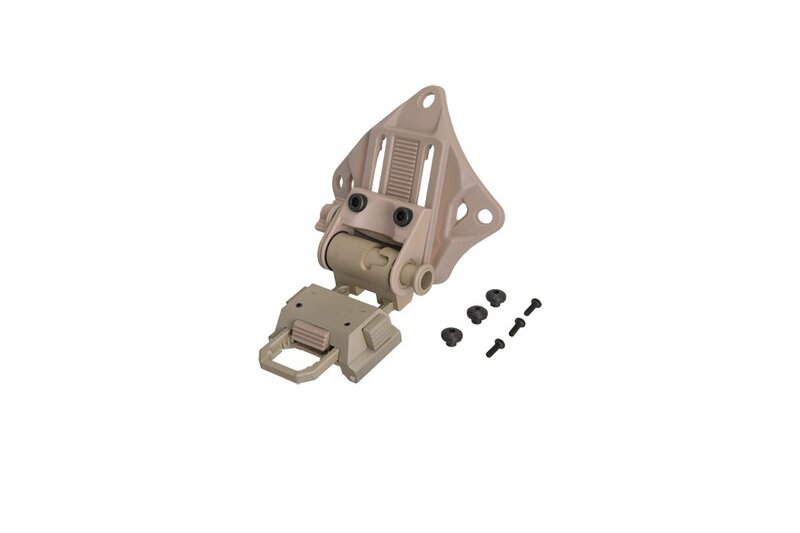 This NVG Mount uses a dovetail attachment, and is designed only for the NVG sets listed below.